Lately I have been trying to incorporate einkorn products in our diet. I have wanted to try it since reading the book Wheat Belly last year. Einkorn is a ancient wheat that is supposedly easier to digest. We used a whole wheat penne. Although it tastes a bit denser, it is not much heavier than another whole wheat pasta. I used this recipe by Alton Brown as a base and then doctored it up. Cook bacon however you like. I like to bake it in the oven so that I can do other things while it is cooking. For the rest of the dish, I followed Alton's directions almost to a T. The only difference was that I added my bacon and chicken after the cheese and I left off the bread crumbs. 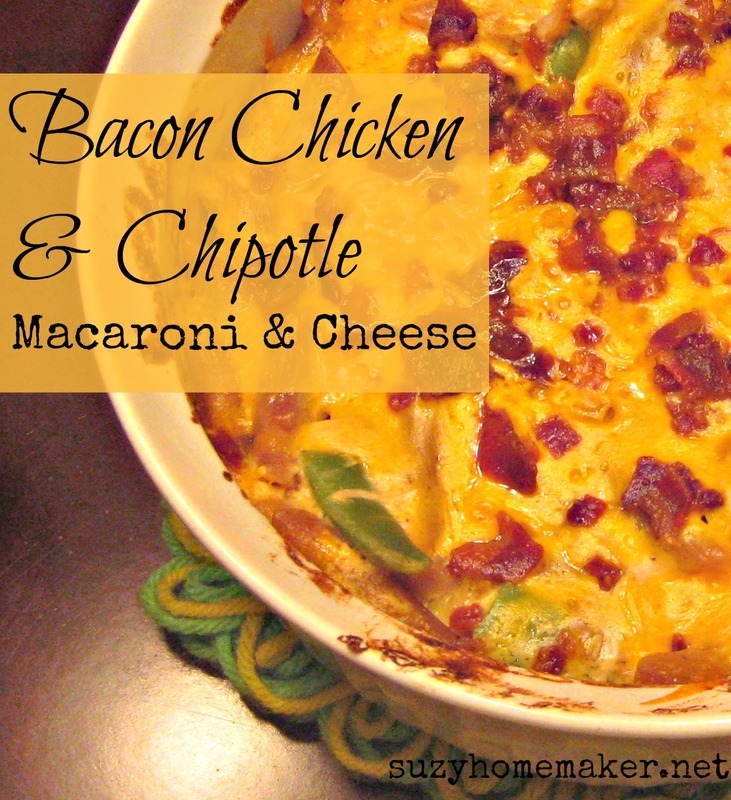 This was a great recipe and a great way to use up chicken that is not boring. We get in a rut of having the same things, so this way a nice change.